Children and cruises are a match made in heaven – just pick the right ship and the whole family will be entertained. Children love cruising, there’s no question about it. And cruise lines love children – after all, it’s never too early to sow the seeds of loyalty in the cruise passengers of tomorrow. But how do you choose the right cruise? The best way to decide is to think about what will best suit your family. Mediterranean heat or a cooler climate? Culture or beaches and shopping? Low-key fine dining or roundthe- clock entertainment? Long haul, Europe or cruising from the UK? Most British families take their first cruise in the Mediterranean, and those with small children appreciate the joys of sailing from Southampton or Dover: just pitch up at the port, park, and you’re on holiday. Of course, you can also fly direct to the Mediterranean, or the Baltic, or the Caribbean – and don’t forget places like Alaska, which is fantastic for older children who love activities like kayaking, hiking, bear-spotting and zip-lining. If you’re travelling in the heat of summer in the Med, which is often the case for families with school-age children, think carefully about how you’ll spend your time. Don’t try to pack in too much heavy-duty culture or you’ll have a rebellion on your hands. Choose shore excursions to water parks and beaches, take boat trips, or get an activity in (browsing for knock-off designer wear in street markets usually works for teenage girls) to balance out the Acropolis, Pompeii and Ephesus. It’s easier in the Caribbean, as most trips involve getting wet or sitting on a beach anyway – and kids love tours like inner-tubing down rivers, taking jeep safaris, or learning to snorkel. The Baltic is more adult-orientated, but it’s easy enough to make your own entertainment, even so. On a recent cruise, I took my kids to Tivoli Gardens in Copenhagen, the fantastic Vasa Museum in Stockholm and the zoo in Helsinki, which is located on an island reached by a ferry. Most parents who have never cruised worry about keeping the kids entertained when the ship is sailing. That should be the least of their worries! Today’s newest ships are packed with impressive features and themes. On Royal Caribbean’s bigger ships, there are ice rinks and surf simulators, while the two newest, Oasis of the Seas and Allure of the Seas, have everything from zip-lines to cupcake-decorating sessions. Disney Cruise Line’s new Disney Dream has a ‘water coaster’ (a Perspex-enclosed waterslide that twists and turns around the deck), while NCL’s Norwegian Epic features a ‘plunge’ – one of those rides where you whizz down a slide into a bowl, spinning around and falling out of the plughole at the bottom. 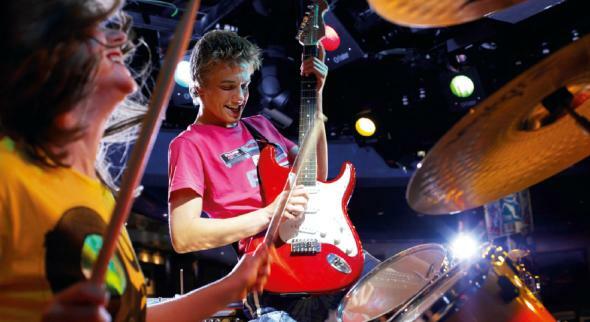 P&O Cruises’ Ventura has bungee trampolines on the top deck, and Rock School for teens with stars in their eyes. Carnival Cruise Line’s new Carnival Magic, launching in May, will have the first high ropes course at sea, as well as two giant waterslides. The Grand Prix simulators on MSC’s Splendida keep boys entertained. 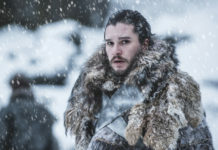 This year’s Big Thing in family entertainment is movie characters, thanks to tie-ups between the largest cruise lines and studios like DreamWorks and Nickelodeon. Royal Caribbean’s biggest ships have Shrek and Princess Fiona on board, as well as the wise-cracking Madagascar penguins appearing at character breakfasts and parades. 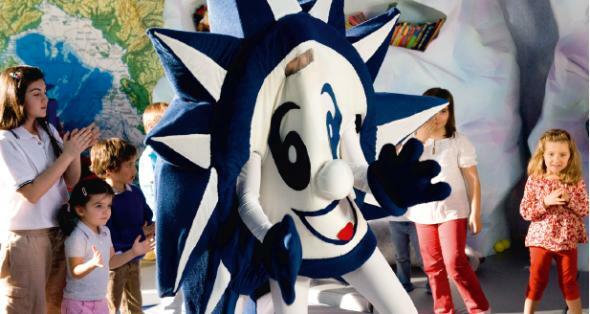 Norwegian Cruise Line has teamed up with Nickelodeon, so on certain cruises you’ll find SpongeBob SquarePants and Dora the Explorer, and even whole itineraries themed around the teen soap iCarly. Disney Cruise Line naturally has the pick of Disney characters, including Mickey, Goofy and Nemo, while P&O Cruises features Noddy and Mr Bump for the youngest guests on its most family-friendly ship, Ventura. Kids’ clubs are the norm for family-friendly cruise lines, and a great way to ensure parents get a break, too. MSC, for example, has a Miniclub for 3 to 6-year-olds, Teen Club for 13–18s, and Junior Club for those in between. Children’s entertainment often has an educational side, too. Celebrity Cruises is revamping its kids’ programmes to include things like Spy Camp, hip-hop lessons and sushi-making for teens. Most of the big lines operating in Alaska (Princess Cruises, Holland America, Celebrity Cruises and NCL, for example) will bring National Park rangers on board to teach kids about glaciers and wildlife, awarding them a Junior Ranger badge at the end of the session. Oasis of the Seas has its own science lab, and a miniature theatre. Family cruising is not all about gimmicks, though, and you might be surprised what gets children excited. For some, it’s simply the freedom a ship offers to find new friends and go ‘out’ for a free burger or a Coke without the parents. MSC Cruises offers a Teen Card you can pre-load with cash for drinks and small purchases – maybe a first taste for teens of using a credit card! 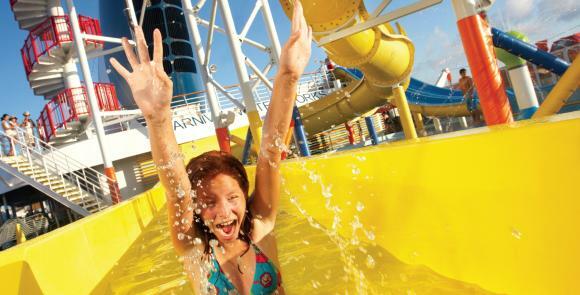 Older girls love the teen spas on lines including Princess Cruises and Royal Caribbean. On Princess Cruises, Movies Under The Stars is always popular – free hot chocolate and a giant outdoor movie screen. MSC runs teen discos on Splendida and Fantastica. On NCL’s ships, kids adore the egg-and-knife juggling chefs in the Japanese teppanyaki restaurants, while the Apple Stores on Celebrity’s three newest ships have huge teen appeal. Some lines cater to more adventurous families, which is great if you’re not looking for a fancy children’s club. Aegean, and children can join scavenger hunts and try mast climbing and crab racing. Uniworld is one of the only river cruise lines to offer special family departures, on the Seine and the Danube. Activities include treasure hunts and, in Austria, strudel-making lessons. 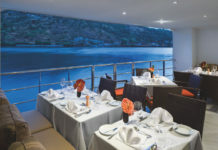 If you want to spot wildlife from a safe and luxurious environment, Celebrity Xpedition is the only ship belonging to a mainstream cruise line to operate in the Galapagos, where older kids can spot giant tortoises, blue-footed boobies and basking iguanas. A cruise is a holiday where you won’t need to create any entertainment at all. In fact, the most difficult challenge you’ll face is deciding which your family will enjoy most.